Most Triumph customs tend to be firmly rooted in the past, being retro throwbacks with varying degrees of success. So it’s good to see a builder capture the sporting spirit of Triumph in a thoroughly contemporary way. ‘Weslake’ is based on a T509-spec Speed Triple (108 hp, aluminum frame, twin headlamps) and was built by Olivi Motori, a Triumph dealer from Florence in Italy. 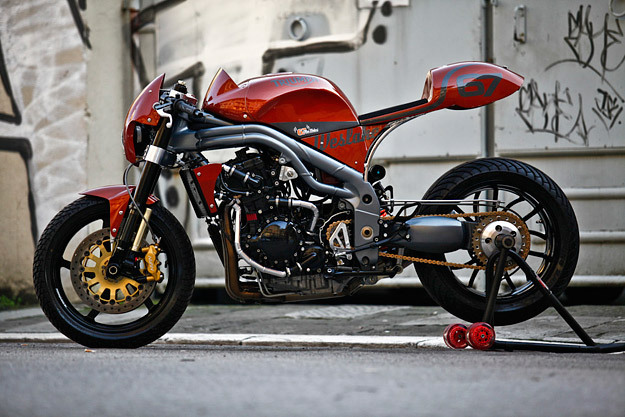 It won the ‘Best Naked’ category in last year’s Verona motorcycle expo. 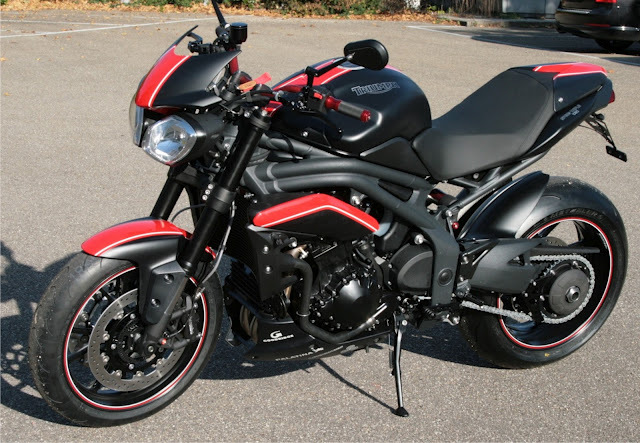 Most of the custom components are from Triumph’s own parts bin, including the beautifully balanced tail section—a modified Thruxton item—and the back wheel, which is from a Speed Triple 1050.